Easter Holidays and Birthday Celebrations! 1. Our house in the Bay in Devon 2. Hot Chocolate and a Scottie Dog biscuit 3. Our decorated Easter tree, with pretty little Easter eggs! 4. My favourite magazine. Ever. 5. My little Pug Frank being cheeky 6. My Easter egg cupcakes 7. Old fashioned Ice Cream Parlour in Broadstairs 8. Old painting of my birthday month flowers 9. Birthday Krispy Kreme's 10. My amazing birthday present from my boyfriend! 11. Emma Bridgewater Jubilee Teapot I received from my parents for my birthday 12. 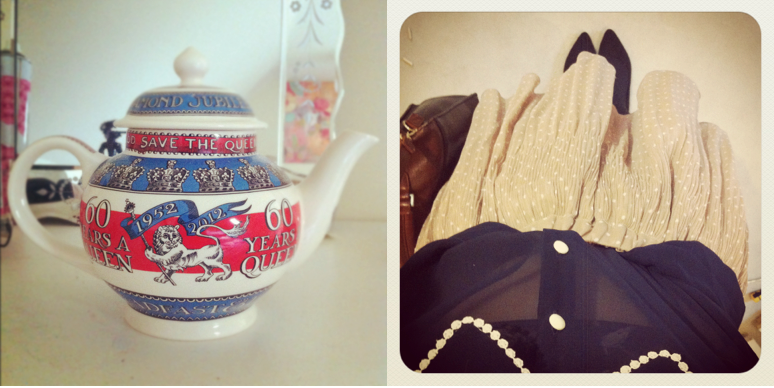 Peter Pan Collar, Polka Dots & Pointy Shoes 13. 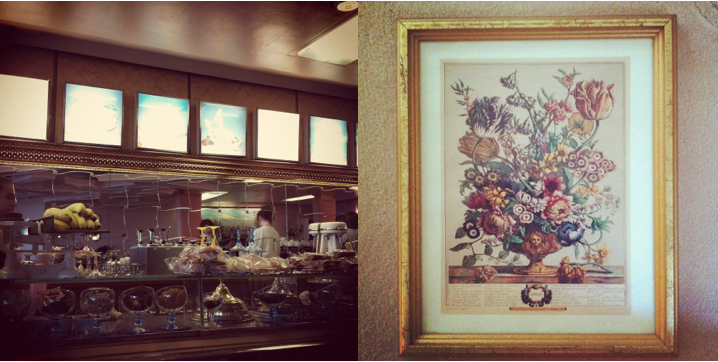 Hot Chocolate & Macaroons 14. Leopard Print Shirt 15. Jubilee Tin from my mum! 16. Make-shift Fondue 17. Pastel goodies from Topshop 18. Tremough High Tea Society cupcakes! So i'm back at University, and my time at home feels like a dream now, it flew by so quickly! 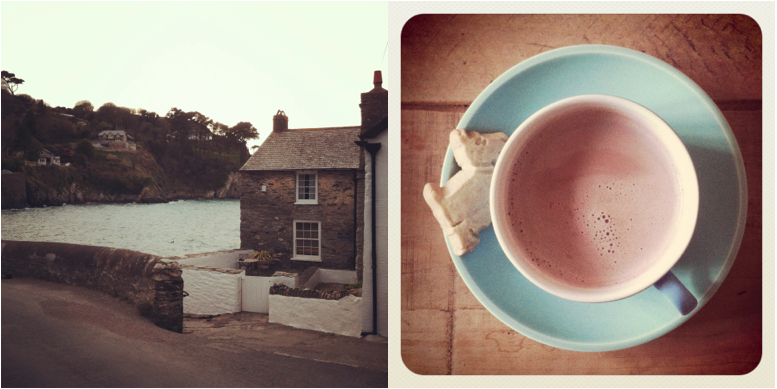 These are a few snapshots from my Easter break, my Instagram name is charlestown92 if you have it too! After spending the first week in Prague, I visited my family for a day in Devon where we had a lovely little house in the bay. It was lovely being back at home, and being able to properly relax and spend time with family after my stressful couple of weeks beforehand. 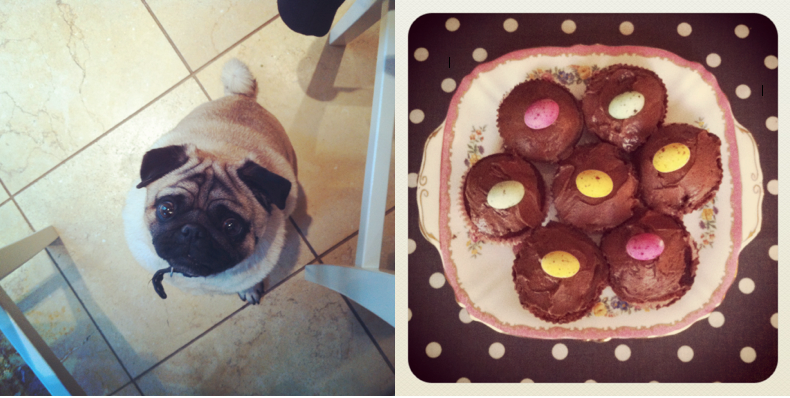 We decorated our Easter tree, visited Broadstairs and went into the retro ice-cream parlour, Morelli's, and I made Easter cupcakes! Thank you for all of the lovely birthday messages, I had an amazing 20th birthday! All of my family came over, and Alessio stayed for the day, I had many Krispy Kreme's and received some amazing presents! My mum and dad bought me the amazing Jubilee teapot from Emma Bridgewater, which looks lovely on my shelf, and Alessio surprised me with a trip to Paris for the summer which i'm so excited about! Please let me know of anywhere you'd recommend visiting in Paris, i've only been once that I remember of where I didn't get enough time to properly explore! After getting back to University on Friday, I spent the evening baking for mine and Sheri's Tremough High Tea Society's event on Saturday where we raised over £300 for Asthma UK. Sheri did an amazing job organising the event, and you can see her amazing baking skills in my picture. After having a lovely month, it's now time to concentrate on revision, and look forward to the summer, where I have an amazing work placement that i'll let you all know about soon! It's with my dream company, and i'm so excited about it! 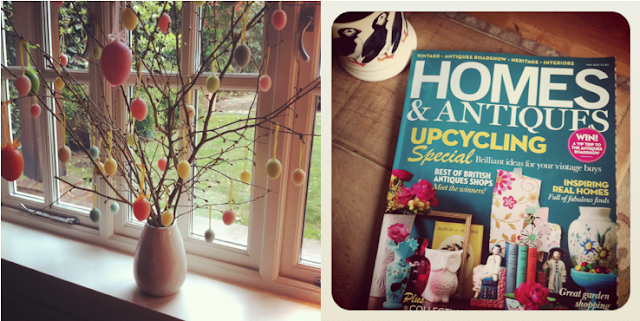 Hope you all had a lovely Easter break, and are all getting on with revision okay! Good luck with all of your exams! ohh those cakes looks beaut'! i am so jel' of your teapot its lush! my boyfriends taking me to france in the summer too! 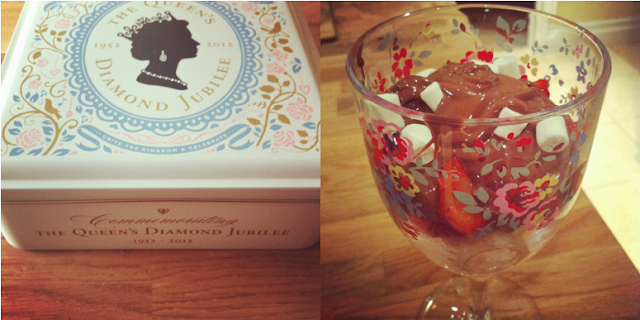 Absolutely love your Jubilee tin; it is just gorgeous! Would love to know where it was from? Huge congratulations on your High Tea Society event! oh my gosh what an adorable little doggie!! 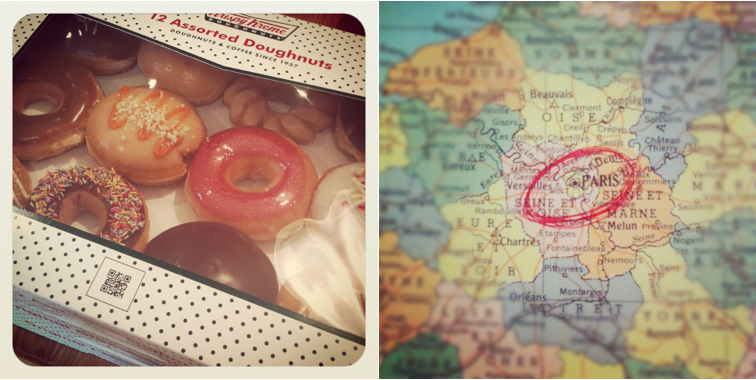 Those krispy kremes look amazing! 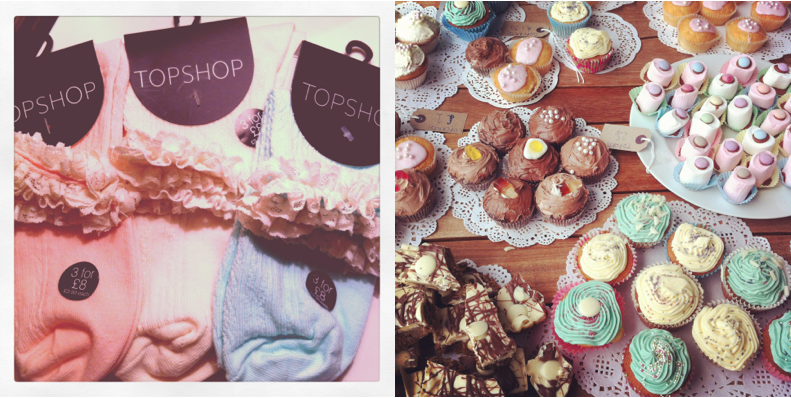 Ohhh I don't think I could be anymore in love with your blog! The leopard print shirt is adorable. I've seen it in store and was sooo tempted to purchase. And your little pug is just too cute - I've wanted a pug for ages so I'm incredibly jealous! P.s. Thank you for the lovely comment on my blog!